So, here is the third painting of my 2018 painting project, Four Seasons on the Stour. This huge old pollard willow is on the bank of the river just as the path goes off across the fields from Flatford to Dedham. How narrow the river is here compared to Cattawade, my last painting location! I’m going to do a second Flatford painting, but I’m also looking forward to making my next visit to the river, which will be at Dedham. 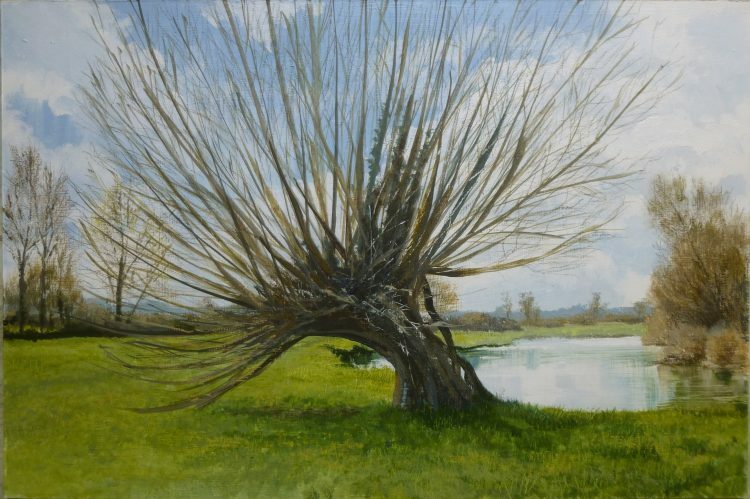 I’ve already painted several views of the Stour at Dedham, so the challenge will be to find a completely different view. Which I don’t think will be very difficult!